WHAT KIND OF CHURCH IS BUSBRIDGE & HAMBLEDON? Busbridge and Hambledon Church are members of the Church of England. We are linked to a number of groups through involvement of past or current church members or through other association. These include Holy Trinity Brompton, the New Wine Network and Lee Abbey. What kind of church is Busbridge & Hambledon? Busbridge and Hambledon Church is part of the Worldwide Anglican Church in England; it's a Church of England parish church. This means that it has a duty of care and spiritual nurture for everyone in the parish no matter who they are. We are linked to a number of groups through involvement of past or current church members or through other association. These include Holy Trinity Brompton, the New Wine Network and Lee Abbey. What's it like to come to church? Anyone and everyone! You'll find every type of person walking alongside you. We are less interested in someone's past and present and more interested in how we are all learning to follow and worship Jesus Christ together. Imagine you got all your extended family together for a party; Busbridge and Hambledon is as diverse as anything you might find there. If you want to come along but don't want to turn up alone then ring the church office and we'll arrange for someone to meet you at the church door. Try the Busbridge Quiet at 8am or Hambledon Heritage at 9am. 3. What do I wear? No-one expects people to wear their ‘Sunday best’. Some of people come smartly dressed; others like jeans or shorts (even in winter). It is up to you. 4. How long are the services and how do they differ? It depends which gathering you come to. The easiest way to explain it is that the earlier in the day then the shorter the service and the more structured it is. Contemporary and Classic worship is about an hour and 15 minutes. Earlier services are shorter. The evening service is a bit longer. We recognise that everyone is different so the services are called 'congregations' because people congregate in different ways. If you like hymns then we have it; loud contemporary music then we provide that too; no music - we offer that as well; informal and chilled - that is offered; something with a clear structure and recognisably Anglican - yes... you're likely to find something for you here. 3. What do I do when I come in? What about buggies and wheelchairs? You'll be welcomed at the door and invited to come in. You can just say 'hello' or you can say that you've seen this bit of the website and would like to be told a bit about what goes on. Sit anywhere where there is a space. You keep your coat and belongings with you. You're welcome to bring buggies in or, if it is a bit crowded we have space for them elsewhere. There is access for wheelchairs and space to bring them into the worship space. There are disability accessible toilets at both Busbridge and Hambledon. We love children! That is why we have four people dedicated to them on the staff team. Children are welcome and we don’t mind noise. Children are made welcome at every service. You have a crying baby? We know what that feels like - you'll be welcomed, cared for and reassured that your baby is as welcome as anyone else. 5. What happens during the services? Usually we sing Christian songs, have prayers, a Bible reading, talk and, sometimes, special presentations. We normally stand to sing songs and sit to pray and listen to the talk. Our songs are a mixture of traditional hymns and modern Christian songs played by a music group. 6. Will I be made to do anything? No, you can sit and do nothing if you want. Most people join in with the songs. You may not know the tune but the words will be in a book or projected on a screen at the front. The person leading the service will tell us what to do so that we can participate if we wish. 7. What do you believe? We're an Anglican Church and part of the Church of England so our beliefs are well known. We don't force our beliefs on anyone; we're here to help people explore questions of life, death, faith and eternity. We hold the Bible to be God's Words and that Jesus Christ is God. There are different views about what this might mean within the church here, but we're all agreed that we hold the Bible and Jesus Christ to be of immense importance. Communion is where we share bread and wine to remember the sacrifice of Jesus’ when he died for us. All those who are baptised and following Jesus as Saviour and Lord are welcome to go up to the front of church to have the bread and wine. Those who are not Christians, or who do not want to take communion for some reason, can either stay seated or go up to the front for a prayer (simply keep your hands by your side to indicate that you would like prayer). We also have gluten free and alcohol free options - just mention it to the person giving communion as you go up. You can find out when we have a Communion service by looking at the Sunday information. 9. Is there an entry fee? We don't ask visitors or people exploring Christian faith to give anything. Giving money is a personal thing and only the church treasurer knows who gives in this way. A collection is taking during services at Hambledon. You don't have to put anything in it. No collection is taken at Busbridge. 10. What happens after the service? This is a chance to meet some great people and get a tea or coffee. It is all free. What is the policy on SAFEGuarding? We follow the Safeguarding approach of the Diocese of Guildford. We have a dedicated Safeguarding Officer (Sarah Black) and each congregation which has children involved in it has a nominated Safeguarding Representative. 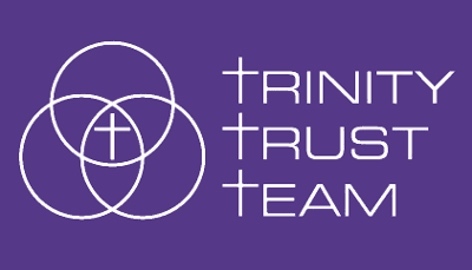 If you have any concerns about safeguarding you can contact Sarah Black (via the church office), a member of the clergy or PCC (see information at the base of the website home page) or you may contact Guildford Diocese directly. See here for more information. The PCC (Parochial Church Council) are the church trustees. The PCC oversees many day to day aspects of the life and vision of the church and they meet up to seven times a year. The minutes of the previous PCC meeting (once they have been approved at the following meeting) are posted on the website (see information at the base of the website home page). Find our about Sunday services. Can I have a funeral at Busbridge or Hambledon? Take a look at our Funerals section – it has all the information you need. There are currently fifteen or so small groups (often called house groups or home groups – most of which meet on Wednesday or Thursday evenings; some meet during the daytime). To join one, the best thing to do is to firstly contact the church office for more information about what to do next. Groups are based on clusters of where people live or centred on particular interests. How is Busbridge&Hambledon Church related to Local Schools? The local church and Busbridge Junior School enjoy a close relationship. The Junior School was created by members of Busbridge Church in the 1860s to educate children in ‘the National Religion’. Busbridge Infant School holds a ‘Voluntary Church Affiliation’ which means that we have a close relationship with the school. Church staff are closely involved and there are a number of church parents on the PTA. Hambledon Nursery is on the site of the former church school and is held in a Village Trust and the Rector of Busbridge&Hambledon and one warden are Trustees. Church staff regularly visit the nursery and enjoy maintaining the historic link between the Church and the youngest members of the community. What if I’m sick and in the hospital – will someone visit me? Yes, of course – but we can only do it if you or your family let us know. Please call the church office on 01483 421267. Does Busbridge Church offer counselling services? There are people who are happy to provide a listening ear, if that would be useful, or we are able to point you in the right direction if you need specific help. Please let us know at the church office on 01483 421267 – your call will be dealt with confidentially. The church runs a charity which disburses small grants to those in particular hardship. Are the church’s facilities available to use for private events? We have a small Church Centre with a kitchen attached which can be used for private events at both Busbridge and Hambledon. If you would like to find out more, please contact the Church Office or phone 01483 421267. Given that we are a Christian church and that we take our relationship with our neighbours seriously, there are restrictions and expectations on those who wish to use the Church Centre. Use of the Centre is allowed at the discretion of the PCC.